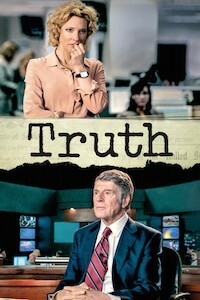 Based on CBS producer Mary Mapes’s memoir, Truth explores the witch-hunt that engulfed the US TV station after they broadcast a revelation about President George W. Bush’s service in the Texas National Guard during the Vietnam War years. Mapes (Blanchett), her investigation team, and veteran presenter Dan Rather (Redford) are accused of sloppy journalism and worse by rival stations, the right-wing press and the blogosphere. “Blanchett is terrific as Mapes” (The Observer). Click on times above to book relevant tickets.